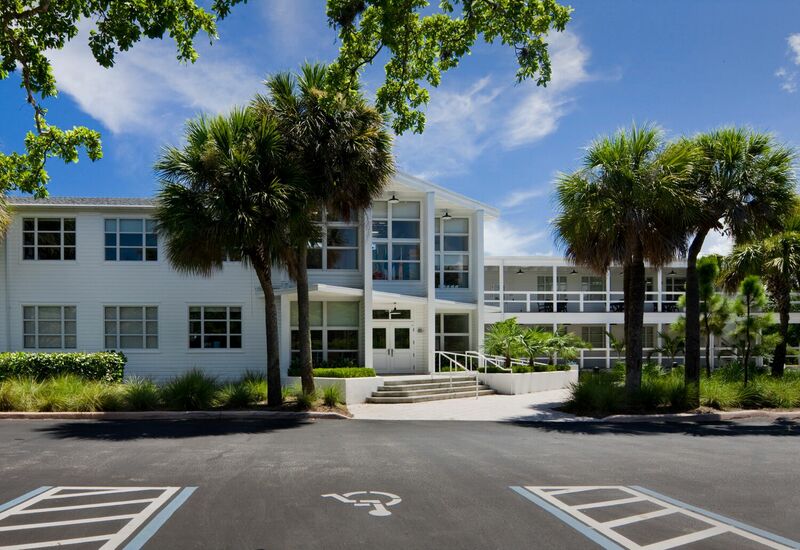 Constructed in 1947, the University of Miami’s Arts Building is the earliest remaining structure built on their main campus and originally served as the Administration Building, as well as a student center and campus post office. 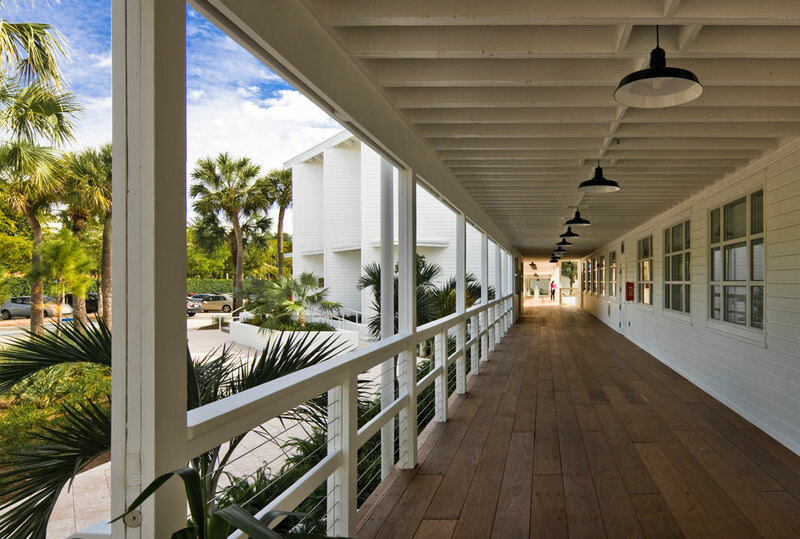 The structure was later used for art classrooms and studio spaces; functions that gave the name by which it is most commonly known. 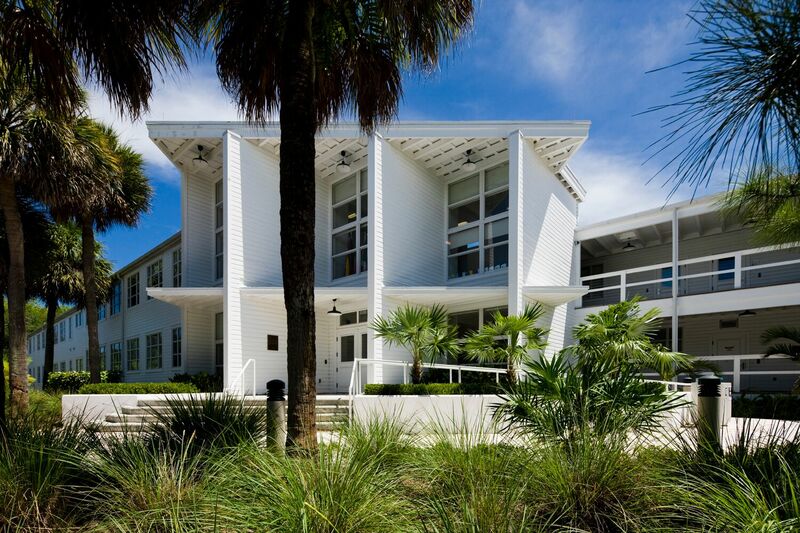 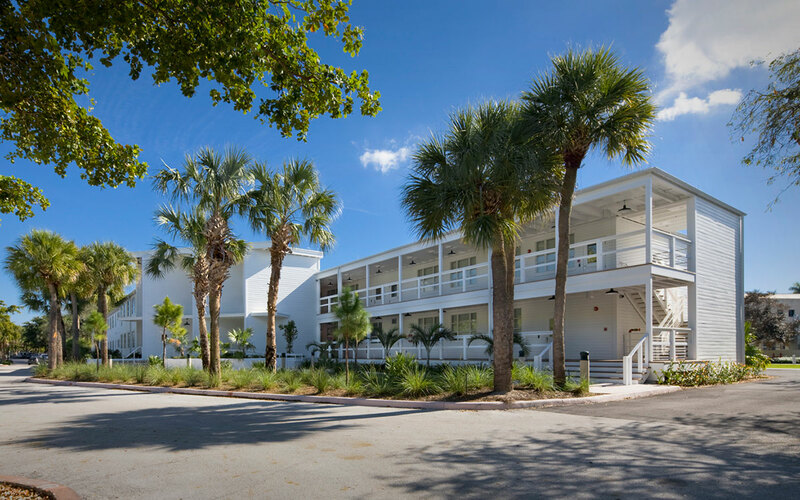 Designed by Marion Manley, the second female architect registered in Florida, it is a fine example of the Mid-Century Modern architectural style that typified the early buildings of the UM Campus. 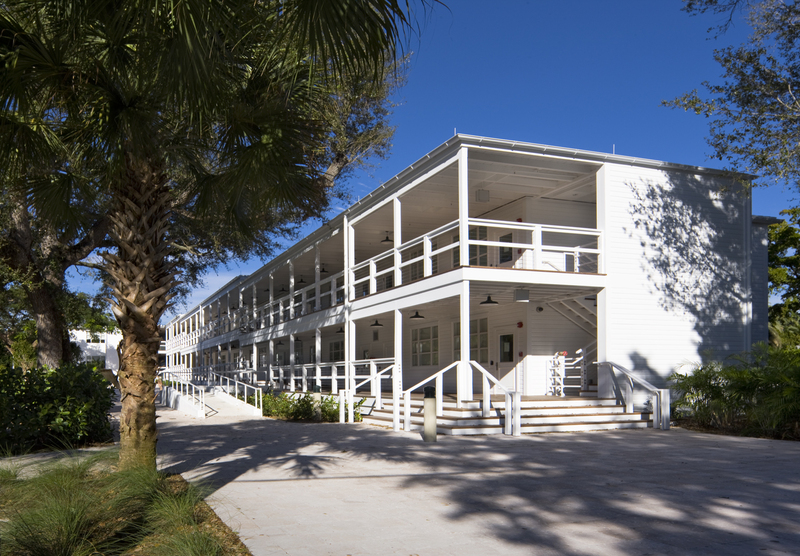 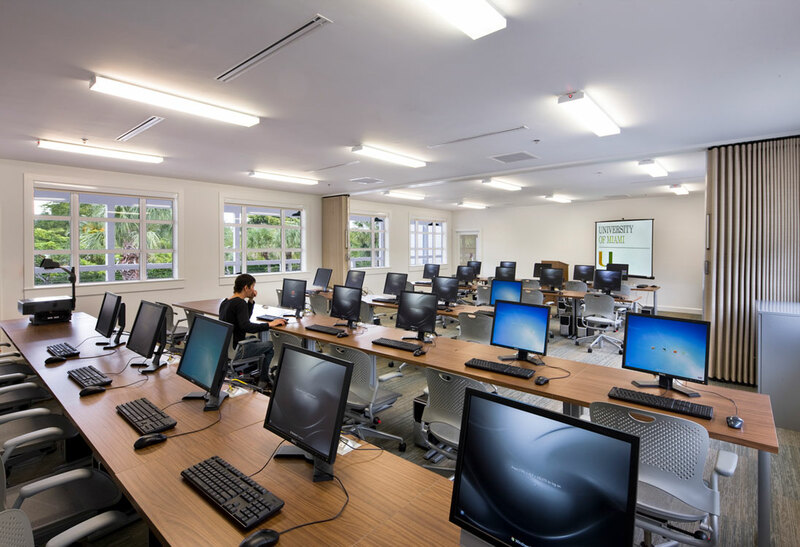 Its design was fashioned from surplus wooden army barracks that were given to the University by the U.S. Government following the end of World War II. 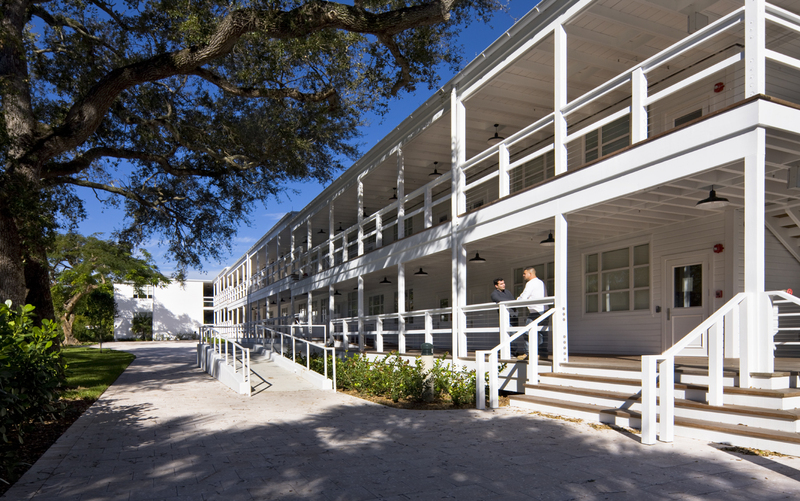 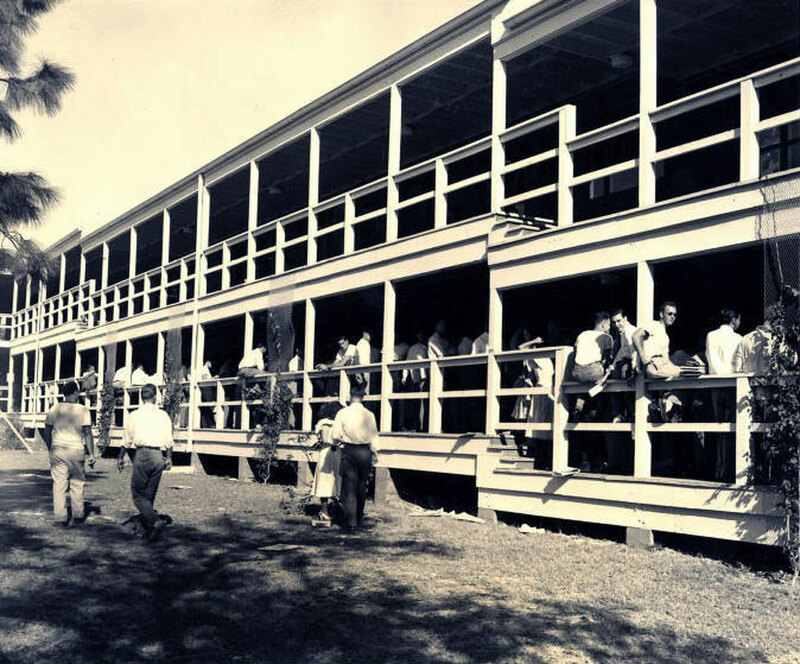 The design consists of sections of the wood frame barracks rearranged into two parallel linear components that seem to slide off each other at a central “knuckle” that serves as the building’s main entrance. 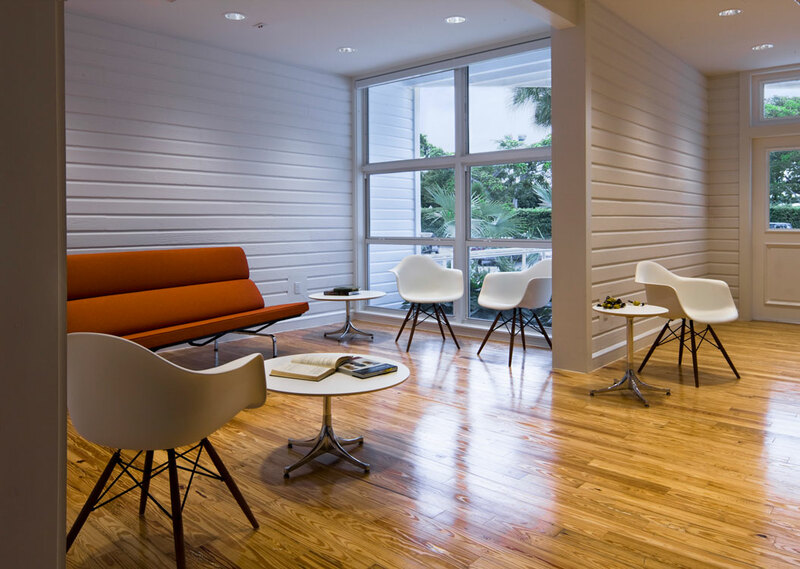 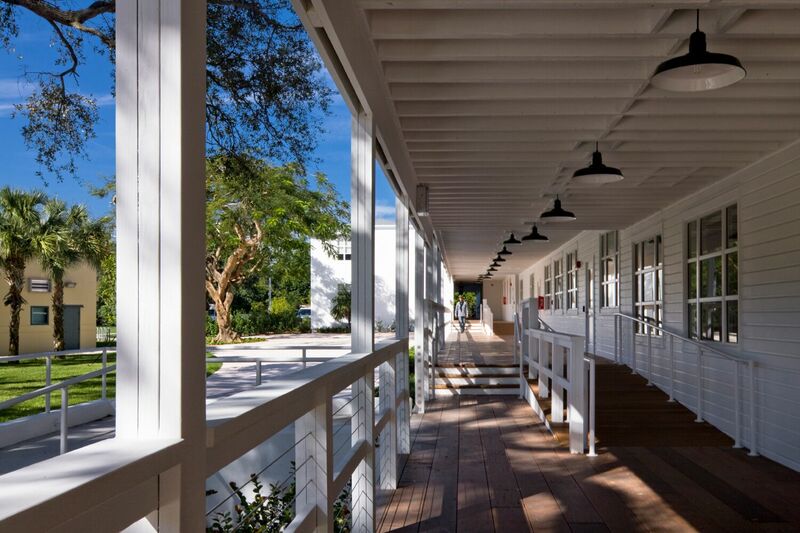 R.J. Heisenbottle Architects was instrumental in achieving historic designation as a historic site by the Coral Gables Historic Preservation Board in 2010 and the $6.3M historic restoration project of the badly damaged and unsafe structure started that same year.